Enter the world of Brod Bagert’s poetry and get ready to be launched into the future of form and style. Audience members connect instantly with his high-energy presentations as they come to realize the entire show is all about them! The result is a body of performance-friendly poetry through which children hear their own voices, engage their own thoughts, and discover their own innermost feelings. Throw in a touch of situational humor, and the result is an exciting, valuable, brand new kind of poetic experience for children. 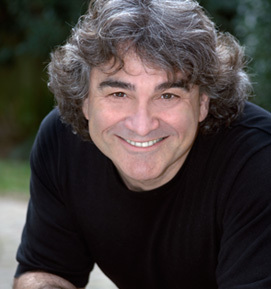 Brod Bagert is the award-winning author of 19 books of poetry for children, young-adults, and adults. His work has received numerous awards including the International Literacy Association’s prestigious Young Adults Choices award, the Association of Educational Publishers Distinguished Achievement Award, the Independent Publisher Gold Book Award, and Mom’s Choices Gold Medal. He tours some thirty weeks a year, and has visited Asia, Europe, South America, Africa and just about every nook and cranny of the good ole USA. Born and raised in the City of New Orleans, Brod studied the classics in Latin and Greek, wrestled and boxed to vent adolescent angst, fell in love with and married his high-school sweetheart, practiced law, served in public office, and reared four children that are the joy of his life. Brod started his career as a poet in the third grade with a poem for his mother. He wrote a few poems in high school, then picked up the pace in college because “GIRLS LOVE POETRY!” During his lawyer days, Brod wrote fewer and fewer poems. Then one of his children asked him to write a poem for her to perform in her school elocution program. That launched a flood of poems unabated to this very day. In 1992, Brod closed his twenty-one year law practice and became one of America’s very few full-time, professional poets. Today Brod mesmerizes audiences with poetry, both his and those of the great authors of history, leaving participants with a new or reinvigorated love for poetry in the process. Brod continues to live in New Orleans with Debby, his wife of 46 years, where they spend quality time with their four children, and a growing tribe of grandchildren. This information is available in a downloadable pdf. Click here to download.